Oh Precious and Grace, I fear I'm tiring of you and your series. 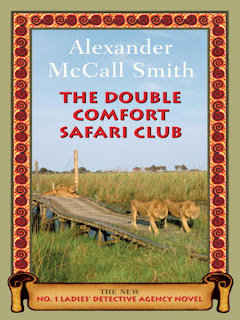 The Double Comfort Safari Club may be the last one I read in the Number 1 Ladies Detective Agency series. They just seem to be replaying the same kind of mysteries and conflicts. 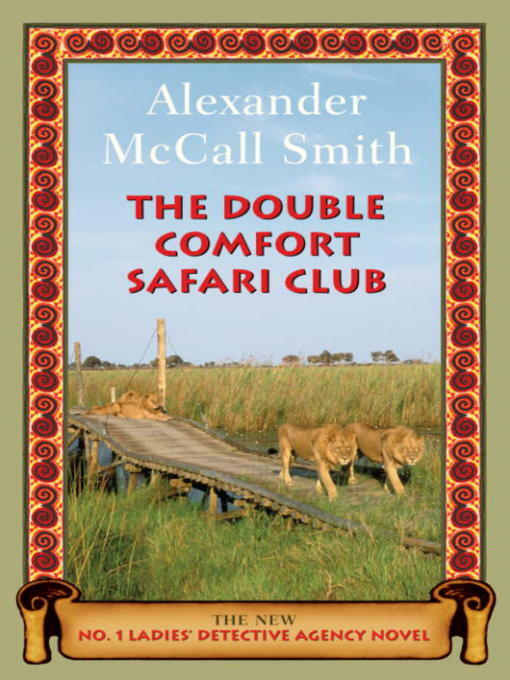 The books are written in a very simplistic style. I found it so charming at first, but now it's tiresome. It's really too bad. I feel like the writing style prevents the characters from becoming more layered and interesting. It's really too bad. It seems like he writes faster than Stephen King! I've become very disgruntled with authors who refuse to end their series books and just drag them on. Janet Evanovich qualifies in that category too. I stopped reading the No. 1 Ladies Detective Agency a few books ago, mainly because I had no idea which ones I'd read which is a bad sign.